The Trinamool Congress supremo claimed that the BJP will lose in the Assembly elections in both Madhya Pradesh and Rajasthan and will eventually be dethroned from the Centre in 2019. 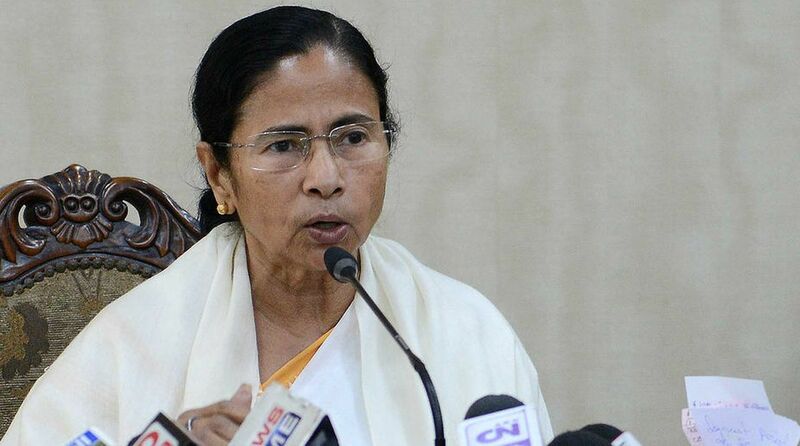 West Bengal Chief Minister Mamata Banerjee on Wednesday said her party Trinamool Congress will contest a number of Lok Sabha seats in the neighbouring states of Jharkhand, Odisha and Assam in the 2019 General Elections. Upping the ante against the Bharatiya Janata Party (BJP), Banerjee said the saffron outfit will draw a blank in Bengal in 2019 and also lose a large number of seats in several states where they are currently ruling. “Those who live in Bengal-Jharkhand border districts like Purulia, West Midnapore, Jhargram and Birbhum should be prepared. We will fight in a number of Lok Sabha seats in Jharkhand. We will also fight in a number of seats in Odisha, with whom we share our border,” Banerjee announced during a public rally in Purulia’s Balarampur. “BJP is trying to drive away Bengalis from Assam. Assam is our neighbouring state too. We (Trinamool) will fight in some Lok Sabha seats in Assam as well. We will contest from these states besides Bengal as we want our relationship with the neighbours to be good,” she said. “Forget about coming to power in Bengal. In the coming days they will be dethroned from Delhi. If elections are held now in Jharkhand, BJP will not get a single seat. They will lose in Uttar Pradesh, Rajasthan, Karnataka, Tamil Nadu and Kerala and in Bengal, they will get a big zero this time,” Banerjee claimed. Issuing a veiled warning to BJP supporters from Jharkhand, who allegedly enter Bengal to create unrest, Banerjee said her party will build up resistance forces and enter Jharkhand, if needed, to stop atrocities against dalits and tribals living there. “We love Jharkhand. But BJP is bringing in goons from there to create unrest in Purulia. We will make resistance forces in Jharkhand against the atrocities on dalits and tribals in that state. If there are any attacks on the tribals in Jharkhand, we will send people from Bengal to protect them and fight for their rights,” she said. Banerjee further claimed that the left parties and the Congress were responsible for the BJP’s rise in Bengal and alleged that certain CPI-M leaders and activists are aiding the saffron outfit to misguide the people at the grassroots level. “CPI-M is helping out the BJP to spread in the state. The CPI-M cadres are taking them from door to door in rural areas and helping them in spreading false propaganda against the Trinamool. The Left and the Congress are responsible for BJP’s rise in Bengal,” she added.